Neighbors | Zack Shively.Dobbins Elementary gave their students a number of awards during an assembly on April 13. 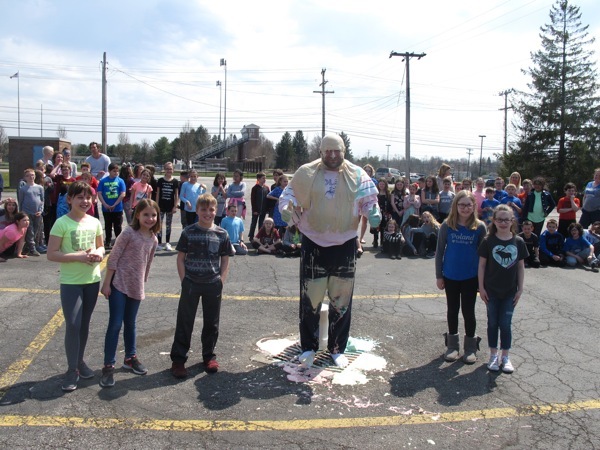 After the assembly, the students watched as Alex Cook, Delaney Ankeles, Kennedy Henderson, McKenna Daley and Amanda Ray smiled technology teacher Nick Blanch. Pictured, the students stand by Blanch.